"TWO SIDES TO EVERY COIN"
GENERAL PATTON used to say that "if everybody is thinking alike, someone isn't thinking." This is the Age of Enforced Conformity. The campus thought police aren't really thinking either – just parroting – so there's no mystery as to why the U.S. today is more divided than it used to be. It's a paradox. Imagine a Washington state quarter blown up 10 feet tall on the wall of political correctness, with two people on each side of the wall. It's almost impossible to get people to look at both sides of the coin, and even the people on one side don't seem to be looking at the same coin. For example, a common-sensical person on the head side sees the Father of our Country, but the PC-indoctrinated person sees nothing but "a slave owner." On the other side of the coin, the common-sensical person sees a big fish and a mountain, and we might want to climb the mountain someday. The other (PC) guy sees "Pure Washington, 'the evergreen state'; leave it alone forever; don't use the land for anything except hunting and fishing; keep it country; tear down all the dams and move back to the Big City." 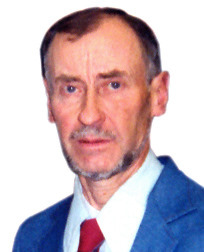 The other guy goes like, "Hey, wait a minute: without mining you wouldn't even have the materials to make a fishing rod or a boat, or a deer rifle, let alone have a car to drive to deer camp. Without oil and minerals you couldn't build a kayak or fishing lines, let alone high-tech batteries and hybrid cars! You can't build windmill towers without mining, you know." Uranium and coal produce over two-thirds of our electric power, but the EPA's "clean power" agenda could leave about 75,000 coal miners out of their jobs. That's cold, let alone cap-and-trade and carbon taxes! With 20 trillion dollars in national debt, about 90 million not working, 100 trillion in unfunded liabilities, and a dangerous trade imbalance, we need every ounce of resources we can find. A mine is a terrible thing to waste! P.S. Hearts of gold: Gold isn't just stored in bank vaults; it is vital in medicine (infection-free parts for heart valves, etc.) and for electronic devices. Some people talk and talk about "bringing manufacturing jobs back home"; how do they think that can happen without mines, oil wells, and pipelines? BTW, my columns on "Back 40 tales" forgot to mention that the gold/silver mine about a mile from my cabin is called the Back 40 mine. 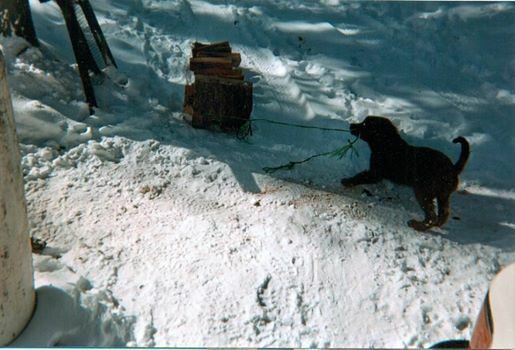 Also, when I wrote about my sled dog pup, I meant to enclose a photo of him trying to pull a toboggan-full of wood. It was a Kodak Moment. PPS: This column didn't have anything to do with Trump U.; I just thought it would "catch your eye"!